If you want to grow one of these short-lived perennials, you can buy replacement plants inexpensively at the 59-cent Perennial Sale at Mischler’s Florist and Greenhouses, 118 South Forest Rd., Williamsville. The sale will be held from Friday, April 27 to Friday, May 4. Hours are 8 a.m. to 5 p.m. Monday through Friday, 9 a.m. to 5 p.m. Saturday and 10 a.m. to 4 p.m. Sunday. Plants are sold in packs of four plants at $2.36 per pack. More than 100 varieties of plants will be offered at the perennial sale. Go early to see the best selection. 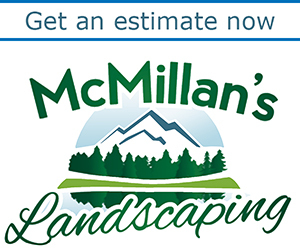 You can download the entire list of plants in Mischler’s sale here. These are both rudbeckia or black-eyed Susans, but the one on the left, rudbeckia ‘Indian Summer’, is short lived, while rudbeckia ‘Goldsturm’ on the right might take over your garden. Photos courtesy Ball Horticultural Company. Most of the plants on that list for the perennial sale are extremely durable and last for years, but some do have a shorter live span. 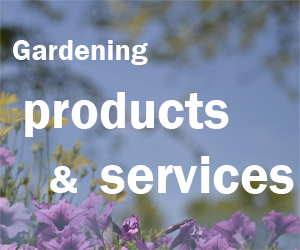 Whether that shorter life span is an attribute or a drawback depends on what you’re looking for in your garden. For example, there are two different kinds of black-eyed Susans that will be offered in the 59-cent Perennial Sale. One is called Rudbeckia ‘Goldsturm’. It’s hardy and long-lived, but it spreads through runners and might take over your garden bed, Yadon said. You’ll probably dig up a lot of it and give it to friends to keep it controlled. Some people love plants that grow that enthusiastically. Another is called Rudbeckia ‘Indian Summer’. It is showier than than ‘Goldsturm’, with bigger blooms that bloom for a longer period of time. It has a clumping habit of growing and won’t take over your garden. Some people want a showier plant with a tidy growing habit. However, ‘Indian Summer’ will last only two or three years, so you will have to replenish it. How long these plants last depends on the conditions in your garden, Yadon said, but after three or four years they will start to decline. These plants won’t reseed themselves in your garden. If you want to make sure you keep these short-lived perennials going, replenish your bed by planting some new specimens every few years. When the older plant dies, you will still have some newer plants going. Foxglove or digitalis is a biennial, but various varieties perform differently. Digitalis ‘Excelsior’, left, will seed itself. Digitalis ‘Camelot’ lavender, right, will bloom in the both the first and second year. Photos courtesy Applewood Seed Co. and Ball Horticultural Company. While the sale is called a perennial sale, some biennials are also offered. Biennials live only two years. In the first year, they won’t flower. In the second year, the biennial will flower, go to seed, then die. An example of a biennial that follows this pattern is campanula calycanthema ‘Cup and Saucer’. To always have ‘Cup and Saucer’ flowers, you need to plant these every year. 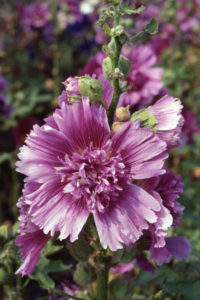 Hollyhocks are biennials, but they will seed themselves in your garden, so you may be able to maintain a continuing crop. When you buy the plants, they won’t bloom in the first year. They will bloom in the second year, then go to seed. The plants you get from the seed won’t bloom in the first year, either. To maintain a continuing crop of blooming flowers, plant hollyhock plants two years in row. Each year, let them go to seed and you should be all set, Yadon said. Foxglove is another biennial, but how it grows in your garden can depend on the variety. Foxglove ‘Excelsior’ will seed itself. You can spread the seeds around to get more flowers. The plants won’t flower in the first year, but they will flower in the second year. To have foxglove ‘Excelsior’ in bloom every year, buy it two years in a row, and make sure you let the flowers go to seed every year. Foxglove ‘Camelot’ is also a biennial, but you don’t have to wait until the second year for it to bloom. It will bloom in the first year, then it will bloom in the second year as well. Then it will die. It probably won’t seed itself in your garden, Yadon said. If you want to make sure you always have some ‘Excelsior’ blooming in your garden, you could buy some new specimens every other year. But if you don’t keep careful track of when you planted new plants, you may not remember if you have first-year or second-year plants in your garden. In that case, you may want to add new plants every year to make sure you have blooms every year. With today’s snow, you may be wondering what to do with your plants from the sale if next week’s weather isn’t any better. First, don’t keep the plants in the house. The sale perennials have been hardened off, which means they were introduced to colder temperatures for several weeks. The perennials are hardy to our area, but all young plants are susceptible to frost damage. If you should encounter severe weather warnings or frost warnings, you should cover your plants or take them into a protected area under a porch or into an unheated garage. Get the plants into the ground as soon as you can work the soil. The sooner the plants are in the ground the sooner they can establish a substantial root system. Mischler’s will have sheets available on how to take care of your plants once you get them home. Make sure you get a sheet. Thank you, for boosting my ego. I thought I was killing some of these. Linda, I know! I assumed that my delphinium was growing poorly, did better the next year, then died. It was just acting like a biennial! Same here ladies. Especially with lupines.